Due to its flexibility there are many people — business men in particular — want to own a 2-in-1 laptop. 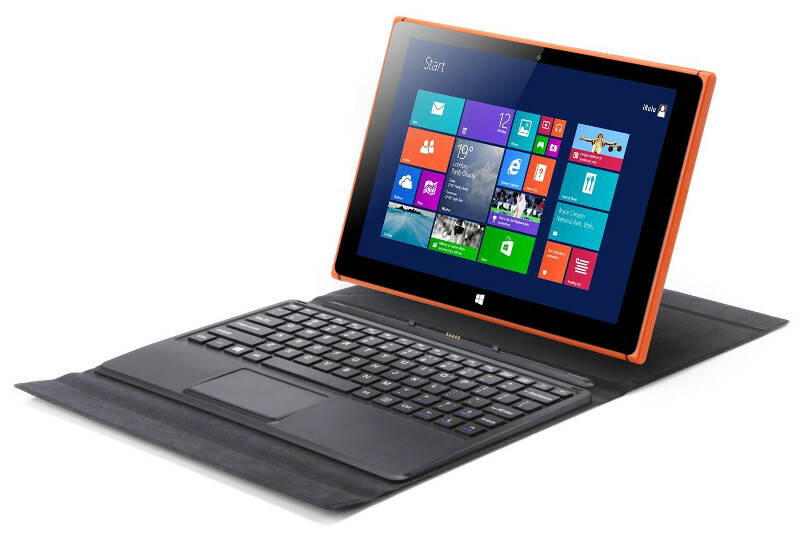 A 2-in-1 laptop itself is a combination between regular laptop and tablet. They can act as both devices when needed. 2-in-1 laptop is a great device for business men and professionals who frequently conduct a meeting with business partners outside of the office. Most people usually leave the office for a coffee shop every time the get stuck and need some new inspiration to do their tasks. A 2-in-1 laptop allows you to do your office tasks at the coffee shop since it’s easier to carry. 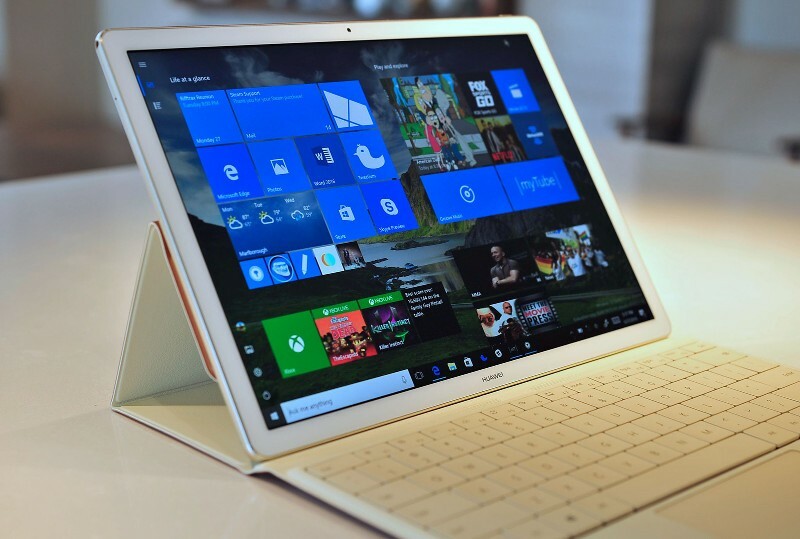 Sure, you can also utilize your conventional laptop to cover that need but, there are a number of advantages you can get from a 2-in-1 laptop regarding the flexibility that you won’t get from a conventional laptop. Unfortunately, most well-known 2-in-1 laptops, like Microsoft Surface Pro, are available in a hight price. But, don’t worry. If you have a limited budget there many other options that you can choose. Here are some options of affordable 2-in-1 laptop under $400. 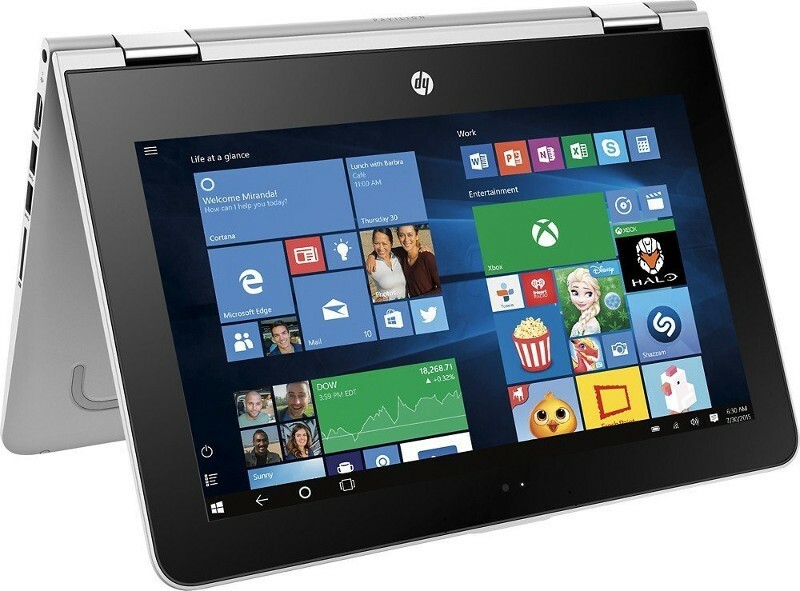 On the first list of 2-in-1 laptop under $400 we have Pavilion X360 from HP. Just don’t be wrong because HP Pavilion X360 is available in several variants. The variant that is released under $400 is the one with lower specs and smaller screen size, 11.6-inch. This variant is powered by Intel Quad Core Pentium N3710 processor which has clock speed of 1.6GHz . To support the performance of the processor, there is a 4GB of RAM. There is no option to detach the keyboard but you can bend the laptop up to 360° if you want it to act as a tablet. It’s versatile enough to support your mobility. There is a HDMI port if you need to connect your 2-in-1 laptop to a bigger screen for a presentation purpose. Its 500GB storage is more than enough to store your documents. If Google’s services like Docs and Gmail take most portion of your daily task then Chrome OS is a good complement. Since released by Google in 2011 ago, there have been many computer companies which adopting the OS, including Acer. Chromebook R 11 is one of the Acer laptop series that adopts Chrome OS .Chromebook R 11 comes in a versatile design, can act as both a regular laptop and tablet. Same as HP Pavilion X360 you will also unable to detach its physical keyboard but you can transform this laptop into a tablet by bending it up to 360°. Not as thin as iPad but, yeah, it’s cool enough. Chromebook R 11 is equipped with a 32 GB of SSD storage. I know it’s too small but, since you will probably work with cloud-based services, that small number is basically not a huge problem. You can take advantage of the free storage offered by the services you use. 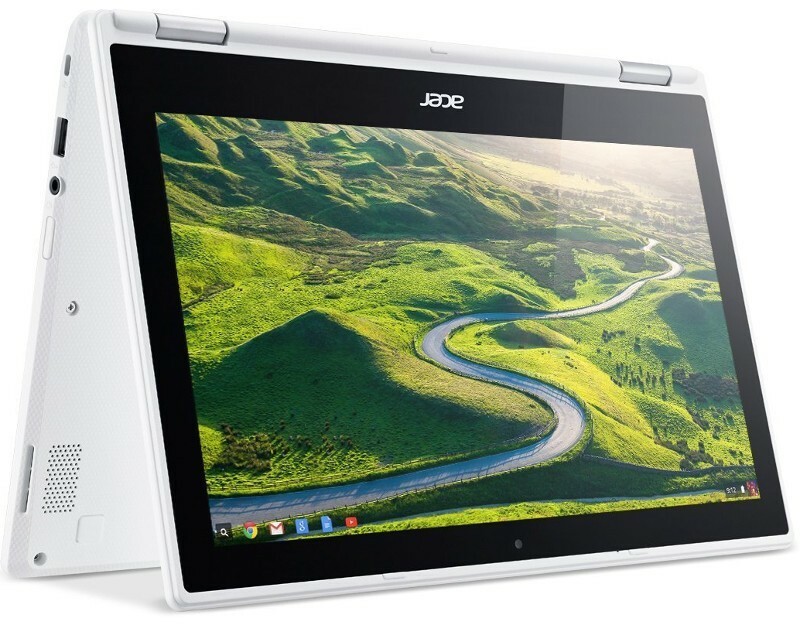 Acer has designed Chromebook 11 for efficiency and simplicity. The laptop is best suited for a laptop on-the-go. One of the things you will love from Chromebook R 11 is its capability to boot in few seconds, so you can spend less time waiting and more time doing. Compared to two laptops mentioned above, the Thinkpad Yoga 11E-G3 from Lenovo has a longer battery life so you can use it all day long whether on the school or office. The whole specs of this laptop are not too different to two laptops above. This laptop also comes with standard specs for basic tasks like browsing the web or creating documents. Specifically, Thinkpad Yoga 11E-G3 is good choice for those who have a high awareness in environment issue since the laptop is made from post-consumer recycled material. 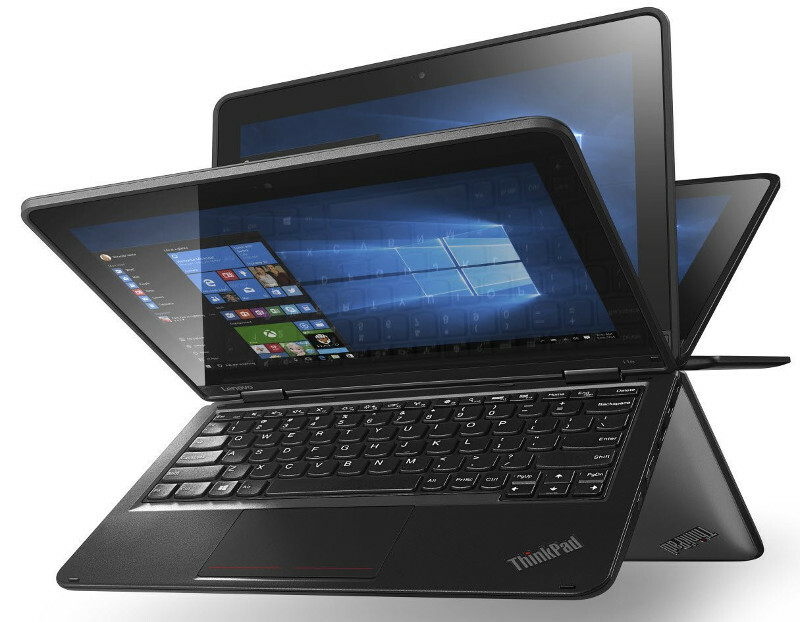 Lenovo targeting students for Thinkpad Yoga 11E-G3. This can be seen from its preloaded education software and integrated apps. They run on Windows 10 Home Edition. To switch from laptop to tablet all you need to do is bend it until reaching the viewpoint of 360°. 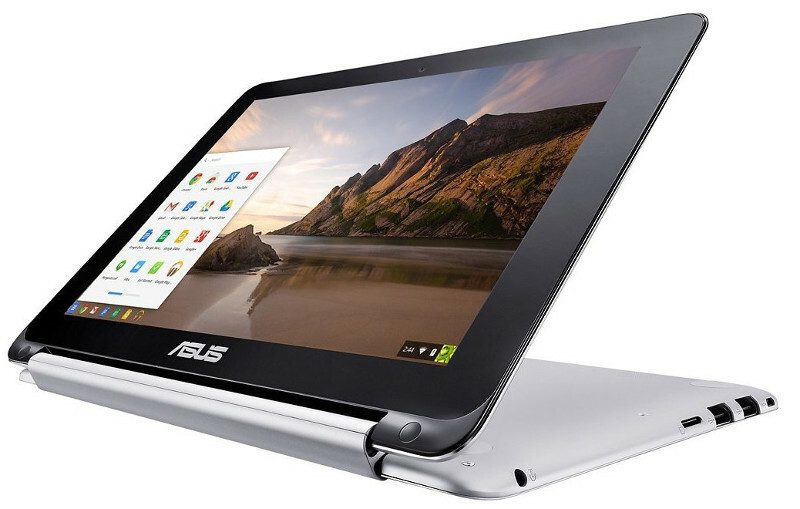 Most Chrome OS-based laptops or also known as Chromebook tend to more affordable than Windows-based ones since you don’t have to spend more dollars for the operating system. Asus C100PA-DB01 is one of the most affordable 2-in1 laptops with only $178.06. Other than because of this laptop comes with Chrome OS, its specs are also not too wow. Asus C100PA-DB01 is an entry-level laptop which tend to ideal to handle basic computing tasks like browsing and creating documents. And indeed, that is the intention of the creation of this laptop. ASUS C100PA-DB01 comes with a 10.1″ touchscreen display and powered by Rockchip 3288-C Quad-Core 1.8GHz processor and a 2GB of RAM. Its storage capacity is also pretty small with only 16GB. But again, Chromebook is a laptop that is design to run web-based applications, Google’s in particular. So, storage is not the crucial aspect I think. DELL fans? Easy, we have also a good option of affordable 2-in-1 laptop for you. That is Dell i3168-0028BLU. 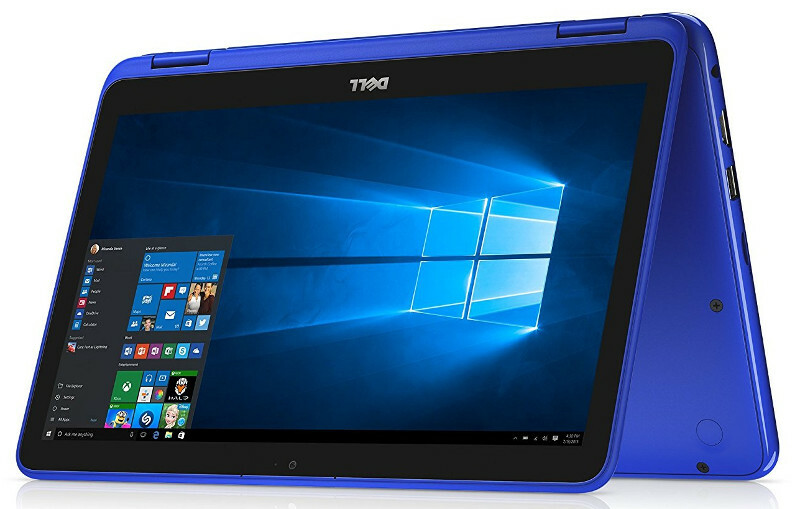 Comes in a dominant blue design, i3168-0028BLU is a good stop if you prefer to Windows-based laptop than Chromebook-based one. The specifications of DELL i3168-0028BLU are not too obtrusive but more than enough to handle basic computing tasks. With up to 5 hours of battery life this DELL 2-in-1 laptop is decent enough to be carried either to school or office. The downside of this laptop is that it only offer 32GB of storage. It’s too small because this laptop comes with Windows instead of Chrome OS like Asus C100PA-DB01 and Acer Chromebook R 11. But, if storage is not the aspect you consider the most then there is no problem to drop your choice to Dell i3168-0028BLU. The overall specs of this laptop are not too different to four laptops mentioned earlier above. All 2-in-1 laptops mentioned above comes with the same model. You can turn them into a tablet by bending them into a 360° of viewpoint. iRULU Walknbook 2 uses a different approach. This is the kind of detachable laptop which mean you can turn it into a tablet mode by detaching the keyboard. Powered by Intel, iRULU Walknbook 2 is great enough to work. I know, you haven’t probably heard about iRULU before but, there is no bad to give this laptop a try. Since this laptop is powered by Intel, you can expect more over its performance. Most iRULU Walknbook 2 users give positive thoughts over this product though it doesn’t mean that there is no hole with it. This detachable laptop comes with a sleek design and offers several different colors. Same as DELL i3168-0028BLU, this laptop also comes with a lower storage capacity.